Lenovo 3000 V100 laptop from IBM Lenovo 3000 V Series notebooks is a 12.1″ widescreen model that powered with Intel Centrino Duo Mobile technology and bundled most of the leading IBM ThinkPad technology into a sleek and lightweight package. Lenovo V100 notebook specifications include built-in dual layer DVD re-writable optical drive, security finger scanner and integrated Wireless LAN. Digital Trends reviewed Lenovo V100 from Lenovo 3000 series of notebook and concluded that despite its idiosyncrasies with the webcam software, and average battery-life for its class, the Lenovo V100 is still a very good ultra-portable notebook. It’s lightweight, well-designed, and better yet, a relative bargain with a starting price of $1099. It truly brings the best of ThinkVantage Design to the consumer. This is the ideal notebook for someone who needs ThinkPad-quality during the workweek and the multimedia amenities of a consumer notebook on the weekend. With Dell-like pricing, ThinkPad-inspired design, and superb technical support, its hard to find a better notebook in its class. You certainly won’t find a notebook with a better keyboard. Digital Trends gave the Lenovo notebook score of 8. 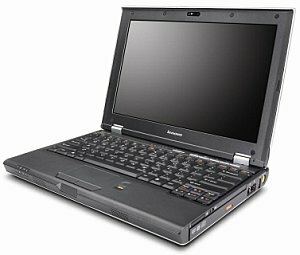 Lenovo 3000 V100 was also reviewed by PC Magazine and NotebookReview.